TOUCHGRIND BMX 2 is finally here and we’ve made EVERYTHING excessively better! SHARE YOUR SKILLS with the world and let them enjoy your extreme runs for real. Decide on real time or slow-mo speed, choose between replay- or bike cameras and generate amazing videos in 720p to impress your friends on any platform you see fit. Can I restore my purchase if I have deleted the app? 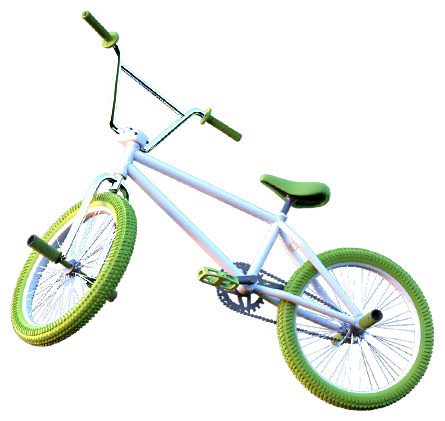 You can only restore purchased locations in Touchgrind BMX 2. Crates, Special Crates and Tournament tries are consumable in-app purchases and cannot be restored if you haven’t connected your BMX 2 account to either Facebook or Gmail within the app in Settings/Connect. To restore purchased locations without having an account connected to FB or Gmail go to Settings/Restore purchase and follow the on-screen instructions. Make sure that you’re logged in with the same iTunes account that you used at the time of the purchase. Is my progress saved if I delete the app? If you have connected your Touchgrind BMX 2 account to either Facebook or Gmail inside the app your progress will be saved. If not, it’ll be lost. Is game progress transferable between devices? Your game progress can be transferred between devices if you connected your BMX 2 account to either Facebook or an existing Gmail on the first device. On the second device, go to the SETTINGS menu, tap on Connect, choose Facebook or Gmail and connect to the same account. I purchased a Crate/Special Crate but didn't receive anything. What should I do? Try the following: 1. Close Touchgrind BMX 2 and all other apps that might currently be running. 2. Make sure that you have a working Internet connection and that you are logged in with the same iTunes account that you used at the time of the purchase. 3. Restart Touchgrind BMX 2 4. Make sure that you’re on the right Crate category. There are normal Crates (wooden) and if you tap the right arrow you will see the Special Crates (metal). 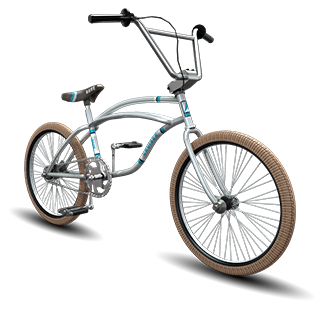 NOTE – Crates and Special crates are consumable in-app purchases which means that if you remove Touchgrind BMX 2 from your device and reinstall it, they will be gone. You can easily avoid this by connecting your Touchgrind BMX 2 account to either Facebook or Gmail in the ‘Settings’ menu. Why do I have lots of unfinished duels? If your opponent doesn’t start his run when it’s his turn the duel will be idle. Duels timeout after 4 days and the user ignoring the duel will loose. Is a new location unlocked straight away if I purchase it? Yes, the location including 40 challenges and 600p Adrenaline will be unlocked. The 600 Adrenaline points you can then earn by completing challenges. Where can I learn how to perform tricks? What’s the difference between a backflip/frontflip and a bikeflip? How do I maximize my score? How do I change language in-game? Will Touchgrind BMX 2 be available on the Google Play store? We’re working on porting Touchgrind BMX 2 to the Android platform as we speak and it’ll be available for Android devices shortly. How do I request a refund if I purchased the game by mistake? Follow this link to get in touch with Apple.